Three friends, three charities and three very big hills. 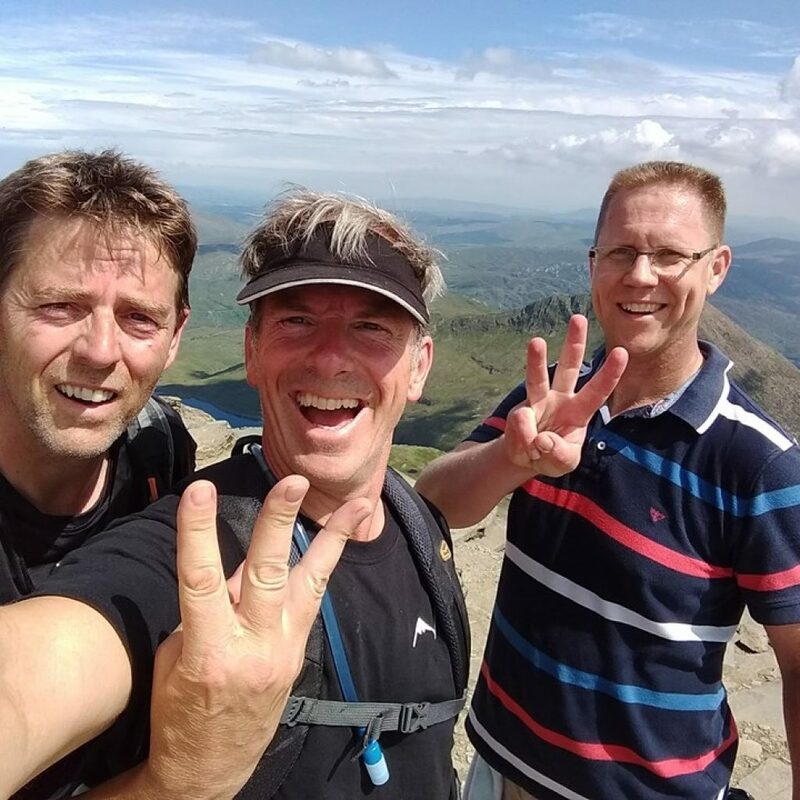 Darren Driscoll, Des Rogers and Jonathan Hartnell-Beavis from Shifnal dared themselves to take on the national 3 peaks challenge, testing their endurance and fortitude for not one, but 3 great causes: Severn Hospice, St Andrews Church and Village Water. The 3 peaks challenge involves climbing the three highest peaks of Scotland, England and Wales – Ben Nevis, Scafell Pike and Snowdon – racking an impressive walking distance of 23 miles and a total ascent of 10,052 ft. The challenge was met and smashed last weekend with the 3 intrepid mountaineers completing in 23 hours and 23 minutes – “Not bad for a bunch of antiques” says Jonathan. The trio have raised an amazing £410 towards our projects, which will help support 14 people with access to safe water, hygiene and sanitation. Not bad for a days trek. A huge thank you to Darren, Des and Jonathan from all of us at Village Water. Thanks to them more people will benefit from life-changing facilities, improving their health and giving them more opportunities. Don’t worry, there’s still time to donate. Show your support for these superstar fundraisers on their Just Giving page, here. If you’d like to start your own fundraiser for Village Water get in touch or check out our fundraise page for ideas.